The Carlisle RG25-314 OptiClean™ dishwasher glass rack has (25) 3.54-inch-by-3.54-inch compartments, accommodating glassware with a 3.25-inch diameter. Since there are three snap-on extenders included, tall glasses easily fit in the rack for versatile washing options. With its open-wall design, glasses can be thoroughly washed, completely rinsed, and quickly dried. 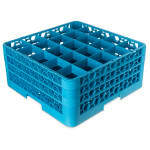 Made without flat surfaces, the rack is designed to eliminate water trapping, which ensures quick drying. 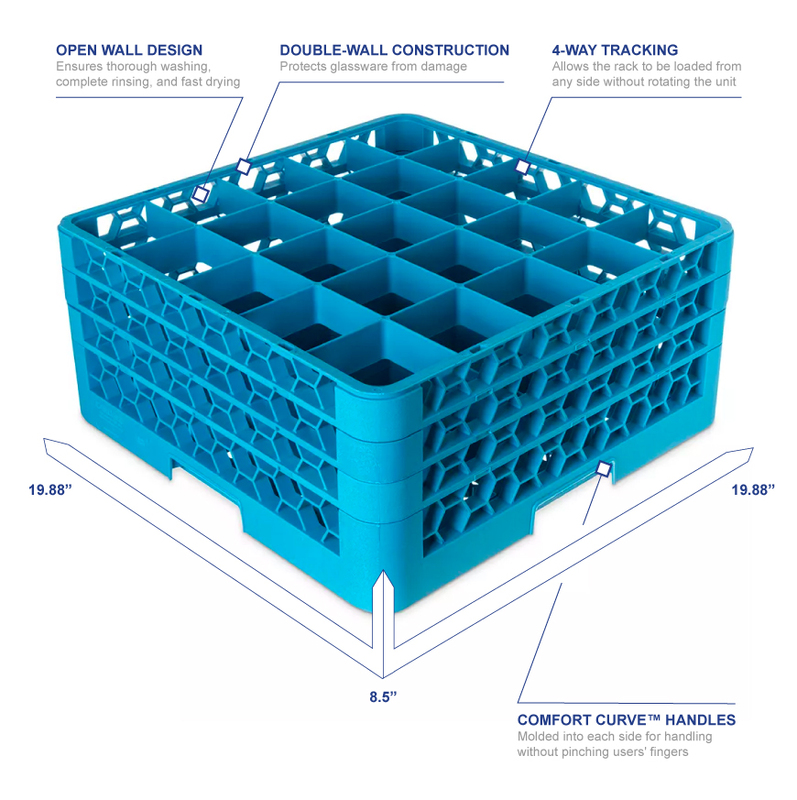 The double-wall construction protects the stored glassware from damage while in warewashers. Since the Carlisle RG25-314 OptiClean dishwasher glass rack has four-way tracking, it can be loaded from any side without having to rotate it. Lifting and moving the rack is easy with its Comfort Curve™ handles that are built into all four sides. 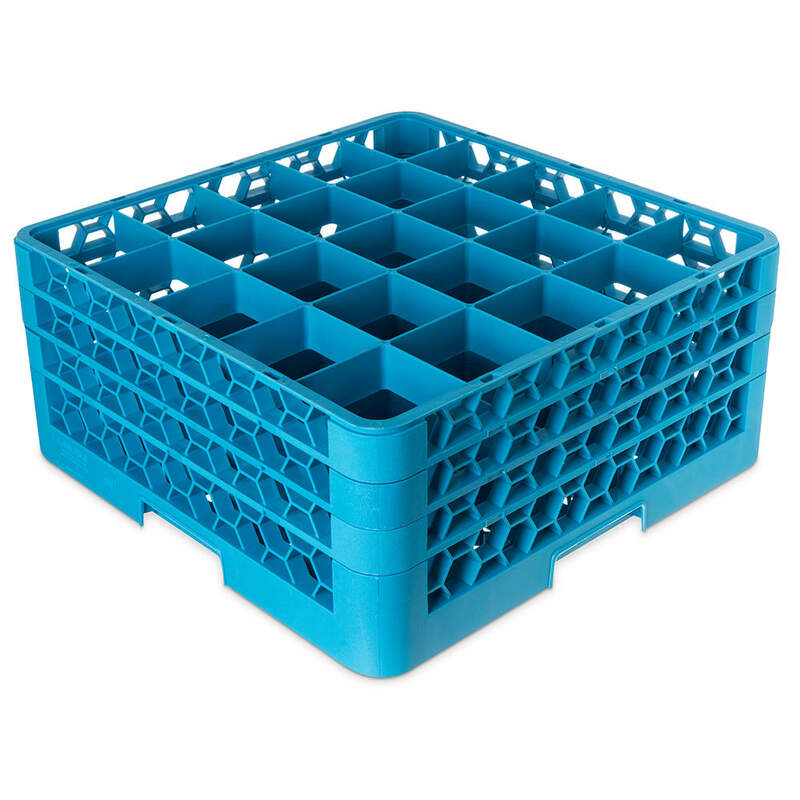 Durable and break resistant, this rack is made of polypropylene. 25 compartments are designed to hold glasses up to 3.25 in. dia.